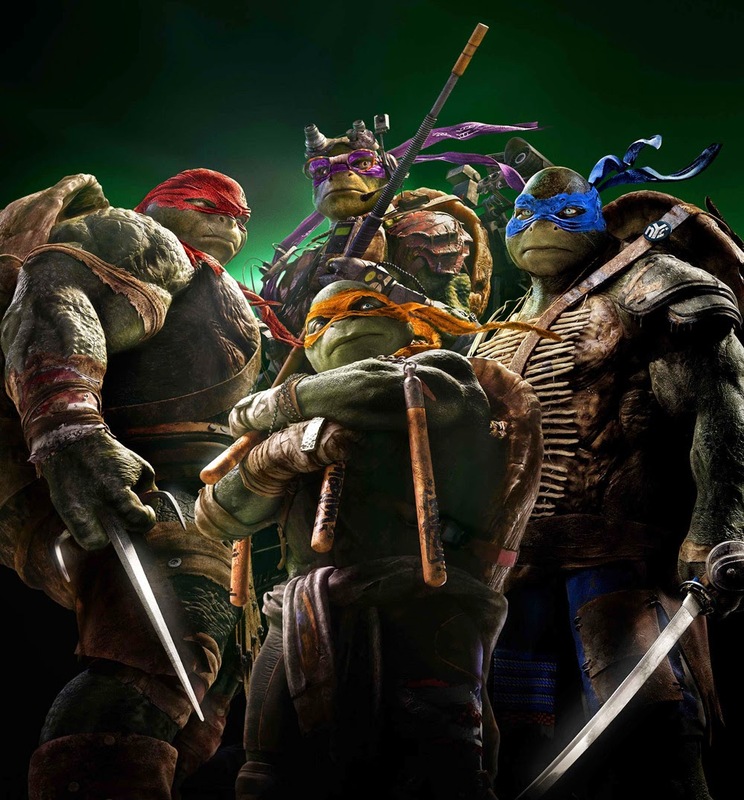 The one-of-a-kind heroes on the half-shell are back – as a new generation of Ninja Turtles emerges from the sewers of New York, in Paramount Pictures' kid-friendly action-adventure “Teenage Mutant Ninja Turtles.” They return in a fresh incarnation that fuses the Turtle’s gritty, underground roots with the feisty sense of merriment that turned them into the world’s most lovable action idols . . . bringing them cowabunga-ing into a live-action adventure that mixes in large-scale battles and leading-edge VFX. The action-packed reboot, which tells the story of how the Turtles were born in a laboratory but came to be unbreakably loyal brothers, comes to the screen under the aegis of mega-producer Michael Bay. Known for box-office-busting event movies, Bay most recently metamorphosed a children’s toy into the multi-billion dollar Transformer franchise. Following on the rousing success of Nickelodeon’s animated TV series, Bay joined with his Platinum Dunes producing partners Andrew Form and Brad Fuller to return them to the silver screen for today’s audiences. Ultimately, they would bring together a team of creative filmmakers, young actors and over 400 digital artists all determined to merge a real world of actors and sets with the mesmerizing fantasy of talking, battling, city-saving teenaged turtles. The origins of the Turtles came out-of-the-blue in 1983 when struggling comic book artists Peter Laird and Kevin Eastman started passing back and forth a series of wildly imaginative sketches featuring turtles in an unlikely form: sporting masks and ancient Ninja weaponry. It was just an amusing lark at first, but they couldn’t deny it. . . the characters were so vivid and fun -- and such a twist on the soul-ravaged, angst-ridden superheroes of the day -- they couldn’t resist them. Soon, no one else could resist them either. Not long after, the four red-eared terrapins named after master Renaissance artists – Leonardo, Raphael, Donatello and Michelangelo – made a much talked-about debut in a comic book with an intriguing name: Teenage Mutant Ninja Turtles. Laird and Eastman had to borrow money just to get 3,000 copies in print but by issue #2, they had pre-orders for 15,000 copies and it just kept growing. The original comic book was set in an inky black world besieged by evil. But the Turtles went through another shift when they spawned a massively popular children’s animated series in 1988 followed by their first feature film in 1990. They began to develop quirkier personalities as pizza-scarfing dudes with irreverent attitudes . . . and suddenly Turtlemania was in full swing. Kids of all ages couldn’t get enough of them as video games and action figures were swept off the shelves in droves. When Bay, Form and Fuller -- along with producers Galen Walker and Scott Mednick and executive producers Denis L. Stewart and Jason T. Reed – committed themselves to modernizing the franchise, they decided to combine both threads of Turtle history: merging the grit and action of its origins with the comedy and camaraderie that have made them so adored by young and old alike. Radical recent advances in motion capture would allow the Turtles to come to life on the screen with stunning photo-realism -- or as much photo-realism as anyone can expect with 450-pound upright reptiles walking around (and beneath) New York. But the filmmakers also wanted to bring more personality than ever to the Turtles.